The final March 2014 screening of Real Live Angels, a documentary that “will change the way you look at the world and ALL of the people in it”, screen at the University of Oklahoma Gaylord College of Journalism and Mass Communication’s Ethics & Excellence in Journalism Foundation Auditorium on Thursday, March 27 at 6:00 p.m. 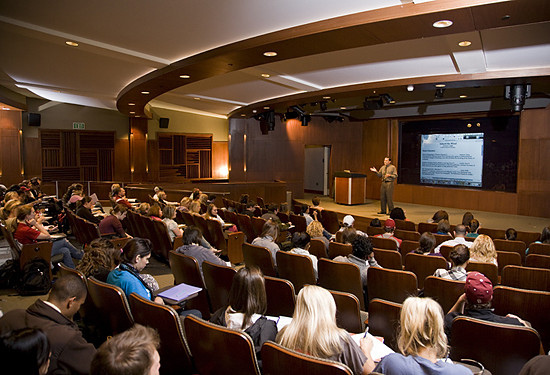 The auditorium is located on the first floor of Gaylord Hall in Norman, Oklahoma, on the north end of the building. The movie will be screened free to first come seating, and will include the opportunity to participate in an an academic research study as well as a Q&A session with the filmmaker. Refreshments will be provided. A Facebook event invitation to the screening can be found at https://www.facebook.com/events/1455862964635975/ . Additional events are scheduled for Oklahoma City (March 8), Dallas (March 22/23), as well as southern California during the week of March 10 (dates TBD). After Weber gathers his research on the project, he will begin presenting the documentary to film festivals and a broader audience in an effort to bring the positive message about a camp in north Texas, Camp Summit, that has been serving people with disabilities since 1947.